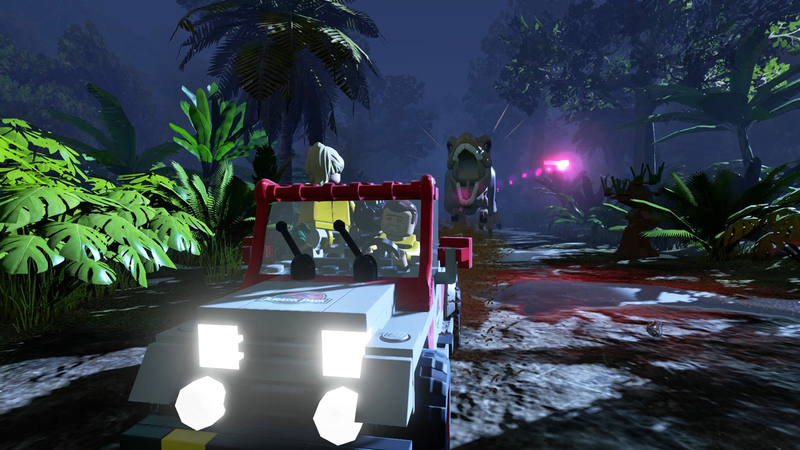 ‘Lego Jurassic World’ Video Game Explores All 4 Films… Complete With Official Dialog! Thus far, we have only seen a theatrical teaser trailer and a much more revealing Superbowl spot for June 12’s ‘Jurassic World’ starring Chris Pratt. Now… we have a trailer for ‘Lego Jurassic Park: The Video Game;’ a game that like ‘Lego Indiana Jones’ and ‘Lego Star Wars’ covers all four films in the ‘Jurassic Park’ franchise. Though the idea seemed silly at first (like a Lego movie…), the Lego games have become the standard for excellent movie adaptations with great control schemes, smart level design, and loads of humor (like ‘The Lego Movie!’). 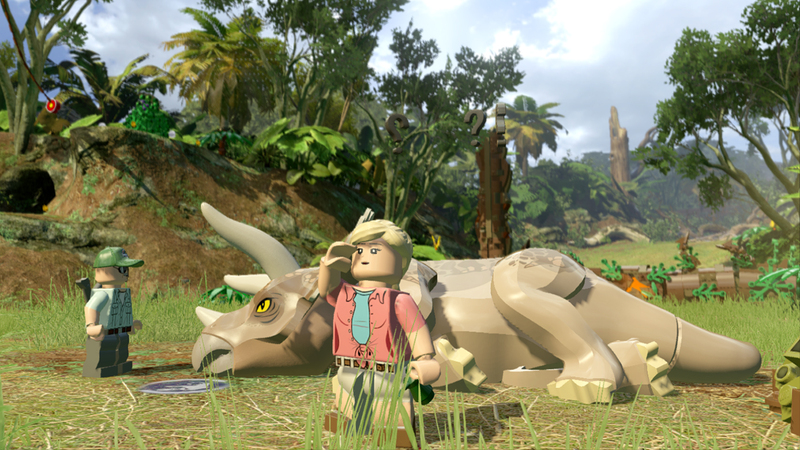 Like past Lego games, humor is at the heart of the “Jurassic Wolrd’ game, but unlike ‘Lego Star Wars’ and ‘Lego Indiana Jones,’ ‘Lego Jurassic World’ uses more than visual gags to tell the story. 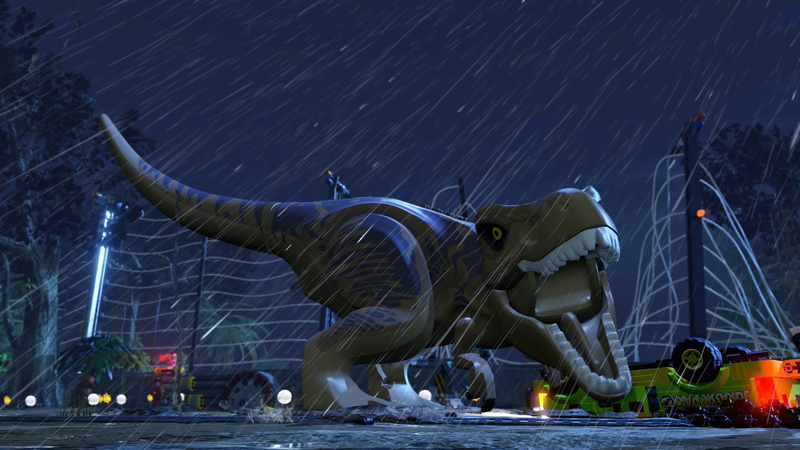 In fact, having already added dialog to ‘Lego Marvel Heroes’ and ‘Lego Movie: The Video Game,’ ‘Lego Jurassic World’ actually takes dialog directly from all four ‘Jurassic Park’ films. That means you get to hear the voice talents of Sam Neill and Jeff Goldblum without the nearly impossible feat of getting the original cast into a recording studio (of course all the actors will get a chunk of the profit). What we have here is the only real ‘Jurassic Park’ game made in years; the only one for current and next-gen titles. TellTale Games, who made their classic “Chapter” style of video games, including past ‘Jurassic Park’ adventures, is making the game with Lego and Warner Bros Games. 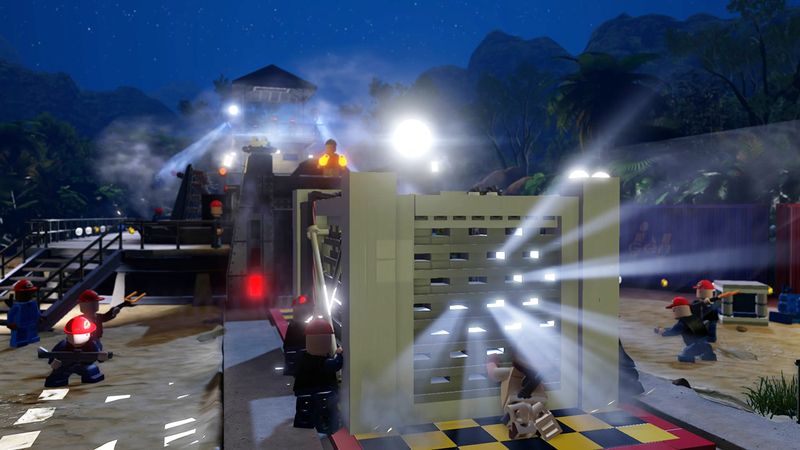 With no other ‘Jurassic World’ game in production (maybe there will be an update to the Park Builder games), it looks like Lego has again cornered the market, surely producing the best ‘Jurassic Park’ related game to date… if you can put up with Legos. Jeep chases, battling Velociraptors, and John Williams’ score abound, I cannot wait to return to (Lego) Isla Nublar and Isla Sorna (“Site B”)! Time to start saving money… between this and ‘Batman: Arkham Knight’ I have two games I need to get this June.